We are looking forward to welcoming you to Glaxo for the second running of the Ulverston CX which is sponsored this year by the windfarm companies- Vattenfall and Windcat. Their kind donation means we can offer a £2000 prize fund. Please respect them as much as possible. Please do not ride bikes or walk on any of the sports pitches in front of the club house. The course basically winds around the perimeter so please think carefully how you get around. There is a double pit on the course which can be accessed via a separate entrance past the main entrance when coming from the main car park. You are welcome to park here (space permitting). Please use this rather than going across the fields. The starting area is also over at the far end of the course so access for it will also be from the far entrance. We are permitted to park in GSK’s main car park for £1. Please reverse park in to space. The entrance bollards will be up and there should be plenty of space for vans, kit, turbo’s etc. Please be careful making your way to the course, which is very close, but across a road. This will be in the club house, please bring correct change where possible. We want to hand out as many prizes as possible on the day to save the hassle of sending them out after the event. With the 1 in 5 rule in place please come to HQ if you finish in the top of your section. There are changing rooms which can be accessed from a separate door to the main club house door. Please be aware of this, especially if full of mud. They do appreciate there will be muddy people around but we can do our best to minimise this! Hot/cold drinks and sweets etc will be sold in the club house and local caterers ‘Movable Feast’ will be providing bbq style food outside. 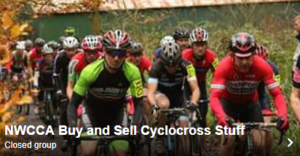 Ride Bike and Velo will have trade stands and mechanics available if you have any issues. The NWCCA first aid team be around the course if required. The main loop is very similar to last year but without the steps. 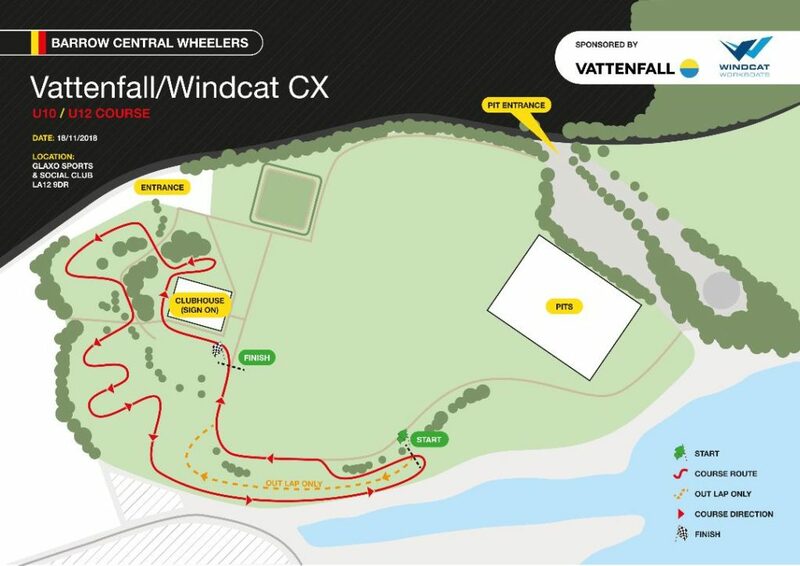 U8/10/12 course has been made longer in response to last year’s event. The course is mixture of flat, fast gravel and grassy banks with a solid base. There will be some riding on the main field which will get boggy/muddy. Around the back of the clubhouse there is a more technical section through some trees. Basically the course should have something for everyone.